Worms 2: Armageddon - a great classic now on Android! 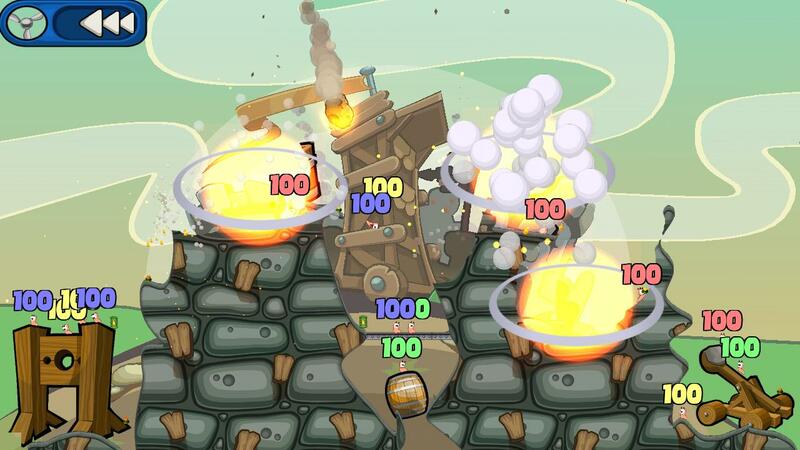 Worms is an absolute classic game, whether on PC, console or smartphones and tablets. 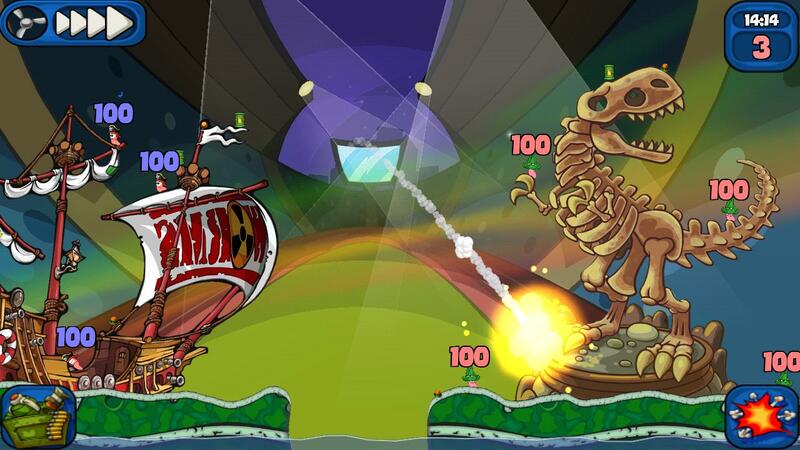 The crazy worms fight against each other and have excited players for nearly 2 decades. For a long time, there wasn’t much happening for these worms and the 3D version hardly made a splash. 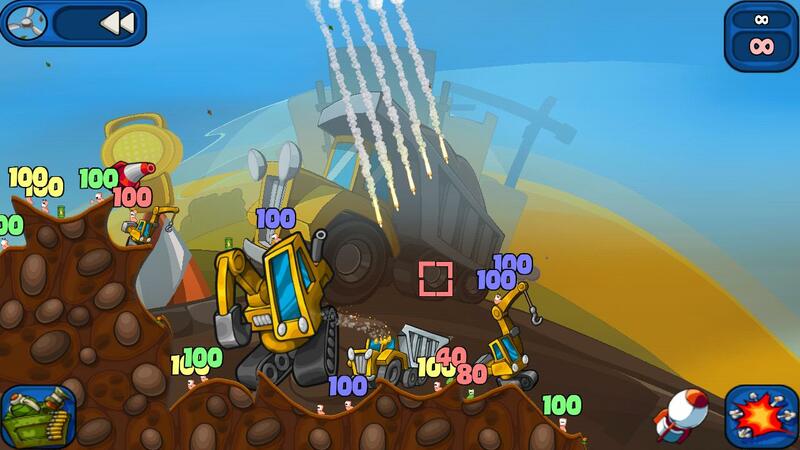 With Worms 2: Armageddon, finally Android has received a greatly made and fun version of Worms. There were no abnormalities within the permissions within Worms 2: Armageddon. For those who don’t know worms, you've really missed something! Basically, it's about a bunch of extremely crazy worms that fight against each other with an arsenal of normal and also extreme weapons. On top of the destroyable environment and the physics of the game (wind for example), there is also a lot of humor which makes the game so likeable. It wouldn’t be enough if it was just worms, you just shake your head at all of the weapons that are on board. There are explosive banana grenades, flying super sheep that explode with a huge baaah, detonating old women, holy grenades, target dove bombs and the list goes on. My favorite game has been and still is Worms: Armageddon, that is about 14 years old. A while back, Worms: Revolution was made for PCs which was a worthy flagship for the series and also brought in water as a new useable element. Unfortunately, no great version of this game existed for Android up to this point in time. The first worm game fell far from expectation. With Worms 2: Armageddon, the game is now offered with a way better set up. 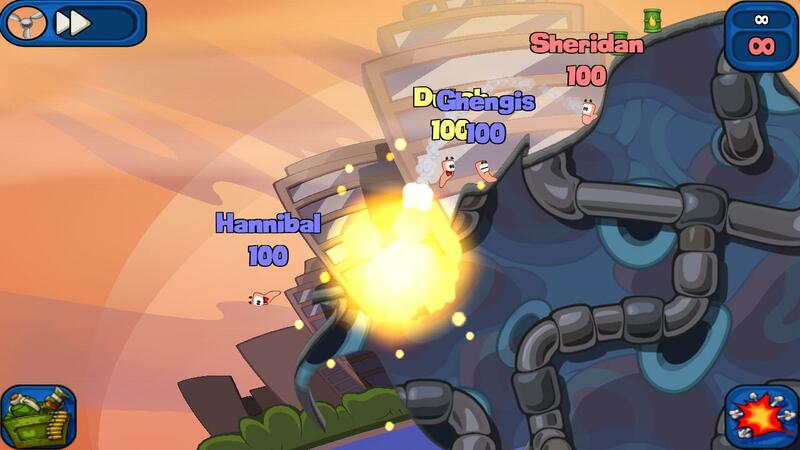 The game is loosely based (like the name gives it away) on the original Worms: Armageddon. The arsenal of weapons is very similar (and quite extensive) and also brings a few new elements to the game. Other than that, it delivers pretty much everything that one would expect from Worms: you can customize your own team (which includes a few funny speaking parts which was already known from the original game). You can also create your own game style with rules and weapons. There's the choice between single and multiplayer (unfortunately only with WLAN) to play against others. The single player mode is made of fast games, exercise games, in ''Body Count'' waves of armed enemies and campaign mode which is made of the various normal games. By winning coins, you're able to buy things like hats, guns and tombstones. Worms 2: Armageddon offers everything that one could hope for: a complete Worms game for smartphones and tablets. The operation is well set up and the destroyable environment and physics of the objects are a great part of the game. There are just two points to critique: the teams can only be 4 worms and there is no multiplayer via mobile internet. Worms 2: Armageddon is quite similar to the original Worms: Armageddon in terms of graphics and has received a few modern upgrades here and there. Worms, weapon s and the background are all awesomely animated and there is no reason to complain. When reading the comments in Google Play, there were tons about operation problems, which I couldn't even see on my Galaxy Note 2. The controls were really well, is simply set up and learned quite quickly. Worms 2: Armageddon worked stably during the test, was always smooth and had no problems. When starting up the app, there were a few seconds where it took the game to contact the server, but other than that all the games loaded without any further waiting time. At the moment, Worms 2: Armageddon is available for a short period in the Google Play Store for 1.99 Euros. It's not exactly cheap but a fair price for a great set up. Otherwise, the game normally costs 4 Euros, which is quite a bit more hefty.